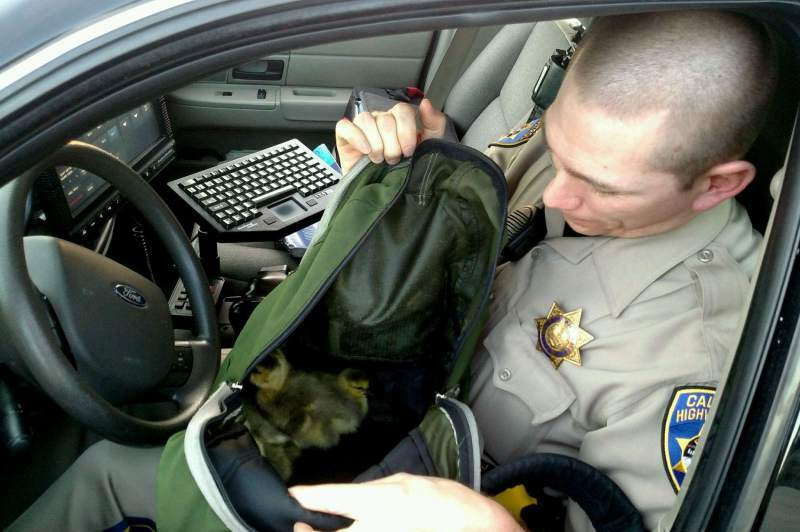 A determined gaggle of baby geese separated from their mother by Highway 101 near River Road were rescued, reunited and relocated by a CHP officer, alerted by concerned drivers, the CHP said Monday. A few drivers called for help Saturday at about 6:40 p.m. to report the tiny birds on the edge of Highway 101 at River Road, CHP Officer Jon Sloat said Monday. Officer Josh Phillips, on patrol in the area, took the call. He found the mother goose had made it safely across but five goslings were stuck on the other side looked like they intended to walk into traffic to get to her. Phillips collected the tiny goslings in a bag and reunited them with their mother by the new Sutter Hospital, Sloat said. “They were determined to cross the road- just like the chicken that set a bad example,” Sloat said. A Rhode Island State Trooper who sprang into action during the Boston Marathon Bombing in 2013 is once again running in the race. Trooper Roupen Bastajian had just finished the race and was standing about 200 yards down the road when the first bomb went off. Despite being off-duty and out of uniform, he immediately ran towards the scene and started assisting first responders with tying tourniquets and getting the injured into wheelchairs. He is running again on Monday, just as he has every year since then. But he acknowledged that returning to Boston stirs up many feelings for everyone involved. “Obviously it was a horrific day and it’s a bad memory for everybody,” he told Eyewitness News. “All those families who lost loved ones, it’s like they have to live with that for the rest of their lives. So that’s just not something that goes away.” Sometimes the emotions return as he nears the finish line, he admitted, but along with them comes a sense of gratitude and resolve. “I feel it as I get onto Boylston Street and it just kind of…reality kicks in for a little bit, but you take it in and you’re grateful that the community and all the runners are out there and doing what they’re supposed to do,” he said, “supporting and not letting anything hinder the freedoms that we have in our country.” Along with several other Troopers who are running, Bastajian has helped raise more than $11,000 for the charity Cops for Kids With Cancer, which donates money every year to a deserving family. The Indiana State trooper who pulled a man from a car that sank in a Steuben County lake last July, saving his life, was honored by the police force Friday. 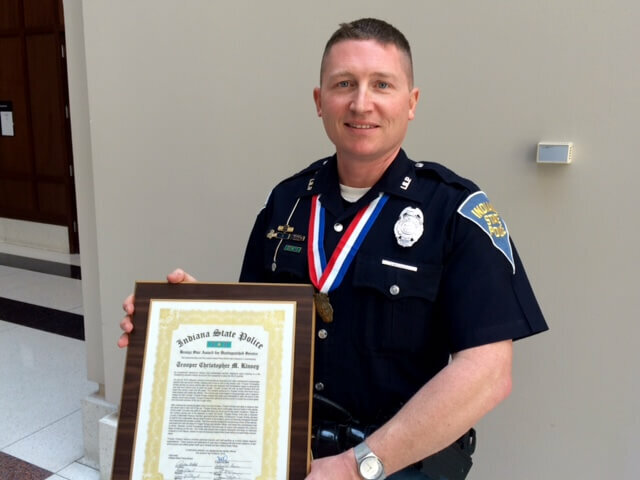 Trooper Chris Kinsey received the state’s third-highest award, the Bronze Star Award, at the Indiana State Police Awards Ceremony in Indianapolis. 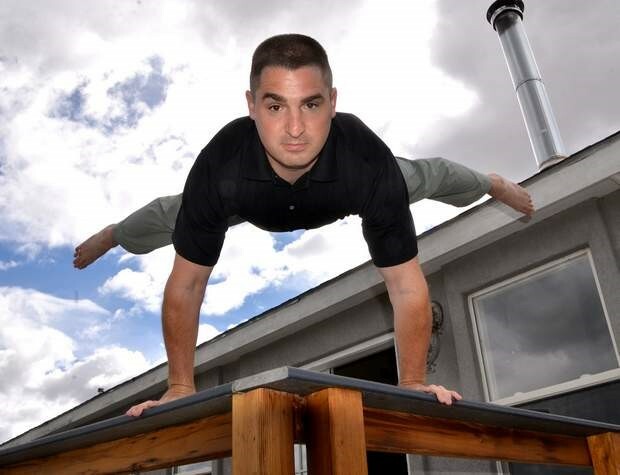 The Bronze Star Award is reserved for those who perform at a “level clearly beyond exceptions” with a focus on personal “bravery and self-sacrifice.” Joshua Dilley is alive today as a direct result of that. On July 23, then-22-year-old Dilley was heading southbound on Golden Lake Road near County Road 325 West in Steuben County when, for an unknown reason, he drove off the road and crashed into Big Bower Lake. Kinsey was on duty minutes away from lake when the call came in that a man was trapped in his car in the water. At the scene, Kinsey pulled off his vest and utility belt and grabbed a tool used to bust windows, then jumped in the water. The trooper said a witness was already by the car, about 20 feet off the shore and completely submerged. Kinsey said the witness saw the man as the car started to go under the water. Under water, Kinsey said the car’s doors wouldn’t open, but he was able to use the tool on the back window. “With several good hits I finally broke through,” he said. After feeling around the murky waters, Kinsey and Steuben County Sheriff’s Deputy Brian Noll were eventually able to recover Dilley and pull him from the car – and to safety. 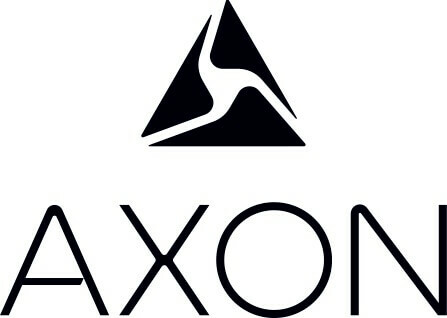 Beyond expectations. Bravery. Self-sacrifice. “It’s very humbling,” said Kinsey. “I did not expect to receive this. I was just out trying to do the right thing.” Kinsey was one of seven state police troopers from the Fort Wayne area who received awards at Friday’s ceremony. Fifty-five officers and individuals received awards in all. A Virginia State Police trooper made a rescue over the weekend when she found two dogs in Appomattox County. It was shared on the Virginia State Police Facebook page. The post reads: “VSP has gone to the dogs…as we have another K9 rescue to share! Over the weekend, Trooper R.S. 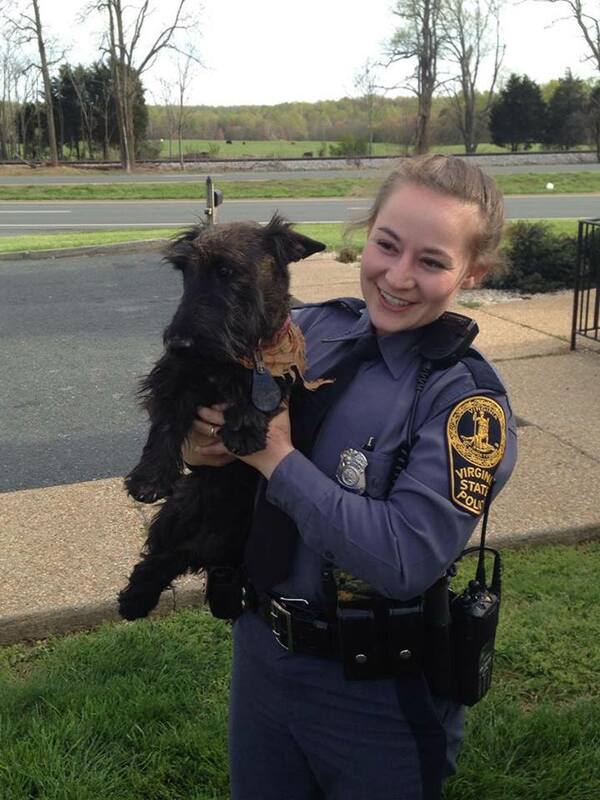 Mann was on patrol when she saw two dogs alongside Route 460 in Appomattox County. She immediately stopped and found one canine was injured and the other – the one she’s holding – was not injured. The two dogs were together because the uninjured pup refused to leave the injured dog’s side. Trooper Mann found medical help for the injured K9 and a shelter for the uninjured dog.” The post has been seen by thousands of people since it was posted Sunday night. 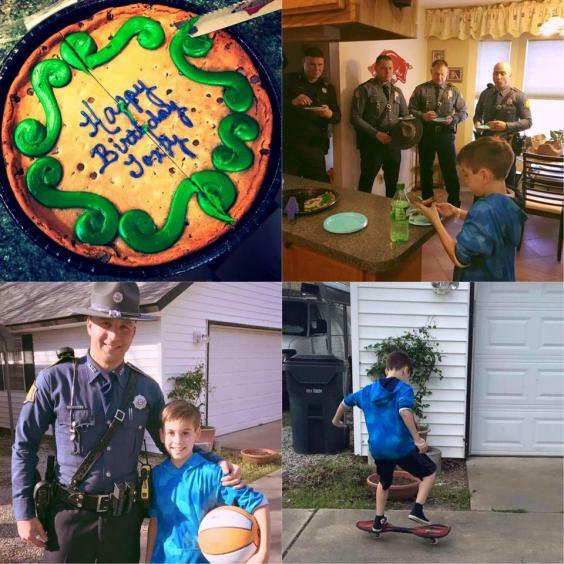 A group of Arkansas State Troopers helped make a 10-year-old’s birthday party a celebration that he’ll never forget. When Toxey invited all 21 of his classmates to his birthday party on April 2, not a single person bothered to show up. “Just heartbroken and helpless. It’s the last thing you want to feel for your kid is that no one cared enough to come,” Toxey’s mother Angela Andrews told local reporters. 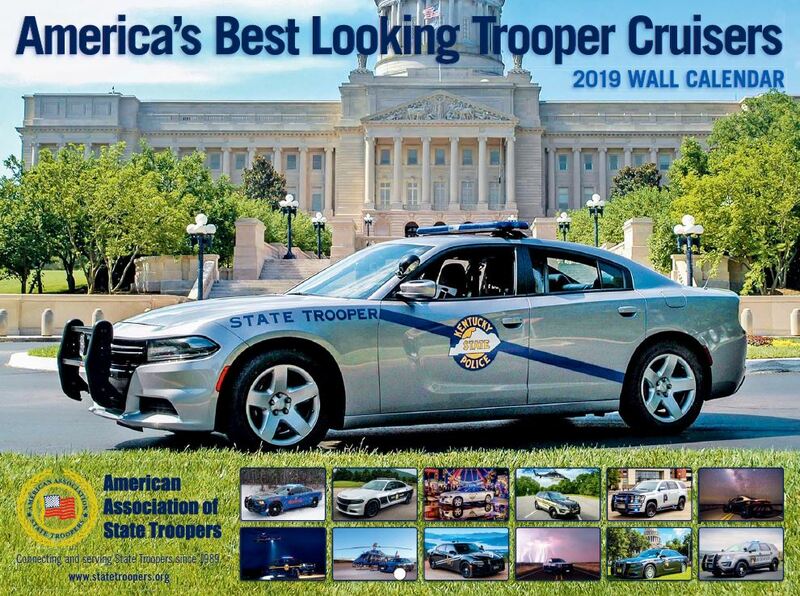 Two days later, five state troopers and Rhino the police K-9 showed up to the Andrews residence to kick off the public relations photoshoot of a lifetime. “Not only did they bring him a birthday cookie cake, but they also brought him all kinds of presents, let him play with Rhino, the K-9, and play with the sirens in their cars,” Angela Andrews wrote on Facebook. “They ate his cake with him and played basketball with him, All out of the goodness of their hearts. They made my sweet baby's day, and his year,” she continued. “Thank you from the bottom of my heart. I will never be able to repay the kindness you showed my family today!" Toxey told THV11 that he "cried a little bit," and that he now wants to become a state trooper when he grows up. So let's hope, for the sake of all the minorities in the area, that Toxey's classmates start treating him better so he'll end up becoming one of the good guys. It shouldn't take an officer down for communities to realize cops are only human. But when a hit-and-run driver reportedly reversed on Interstate 80 Thursday, running over a motorcycle officer other drivers risked their own lives to stay by his side. "All I could think of was that, to hold his hand and talk to him ... so somehow he would know people cared," Mike Vavak told FOX40. And that is all the injured officer's family could hope for. Vavak said he was knelt down in the fast lane, next to a woman who prayed over that officer's body. He says he was taking slow, labored breaths, but couldn't squeeze his hand. "The amount of emotion that was going for this officer that was down was really touching. Everyone was really shaken up by it,” Vavak said. But those he says he saw taking it the hardest, were the other men and women in uniform who arrived later. Those like CHP officer Jenna Berry who told FOX40 the officer likely stopped to help the driver of that truck who was stopped near the center divider. “We stop to check it the vehicle is out of gas or if something is not wrong, as when he pulled up that vehicle intentionally ran him over,” Berry said. Witnesses told CHP the driver backed into the officer on purpose, then yelled at him before fleeing. That driver left the scene on I-80 near Elkhorn Boulevard, stole a commercial pickup truck near Northgate Boulevard, and led police on a chase to Fairfield where he was eventually arrested. "We investigate the best we can, and pray for a full recovery,” Berry said. 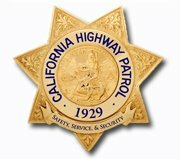 CHP has confirmed that the officer is in stable condition. The suspect's identity, however, has not been released. What we do know, that the compassion in Sacramento today overshadowed the cowardice of this act. "How heartless can you be to just do that to someone?” Vavak asked. When retired state Trooper Steve Sulligan reflects on his life, he more often than not sees the many blessings. That spurs him to look for ways to bless others, especially children. 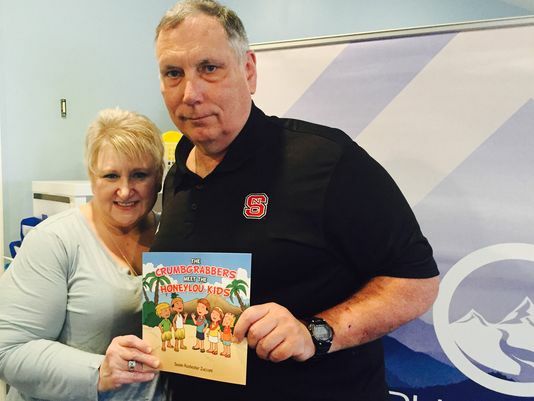 Recently, Sulligan, owner of Blue Ridge Tours in Travelers Rest found a way to bless children and a former high school classmate who has become an author of children's books. Sulligan purchased 25 copies of "The Crumbgrabbers Meet The Honeylou Kids" a children's book authored by Susan Rochester Zucconi. The books, he said, will be donated to the Shriner's Hospital for Children and the Ronald McDonald House, both in Greenville. The books being donated are of Zucconi's Crumbgrabber series of books for children. Sulligan said he noticed on Facebook that his classmate from 35 years ago had become an author and he contacted her. "I thought it was neat what she was doing," Sulligan said. And the title of the book "grabs your attention. I thought the kids would like it. I liked it." So, Sulligan decided to help Zucconi by buying the books and to help children by donating them. The book donation is just one way Sulligan and his wife, Donna, give back to the community. Sometimes,their Blue Ridge Tour business donates a trip to a school that would otherwise not be able to go on a field trip. "We try to choose a school that we know would not be able to go," Donna Sulligan said. During one of the trips, they learned that some of the children had never seen the ocean, much less put their feet in the water. "That's what it's all about," Donna Sulligan said. The Sulligans also provide scholarships for students who can't afford to take a field trip with their classmates. When the scholarship foundation was launched in 2011, Donna Sulligan said she did not know there would be so many children in need. "We have now tripled the scholarships that we're giving to schools and we're also giving field trip grants," she said. Steve Sulligan, a native of Sayreville, New Jersey who has always loved working with kids, spent 25 years in law enforcement in South Carolina as a police officer and a state trooper. While serving as a state trooper spokesperson in the mid-1990s, he got involved in doing Safety City programs and talks at grammar schools. Sulligan said he was also the only state trooper to teach D.A.R.E. in public schools in Greenville County. Sulligan has also long held a passion for buses. When he was transferred to Greenville as a trooper, he'd just reached the age where he could learn to drive a bus, he said. In 1988, he started Blue Ridge Tours on a small scale to make some part-time money because "being a trooper back then, we didn't make a lot of money." The business, he said, "kind of grew" to now being one of the largest in the Upstate. 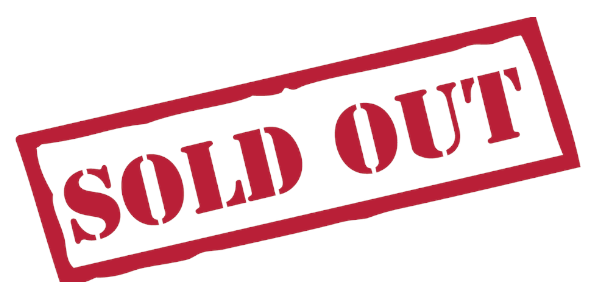 Ninety-nine percent of Blue Ridge Tours' business is with schools, largely field trips with clients statewide and beyond. The business also drives college and professional sports teams on their road trips around the U.S., he said. Personally, Steve and Donna have traveled all around the world because of the job he's had, he said. 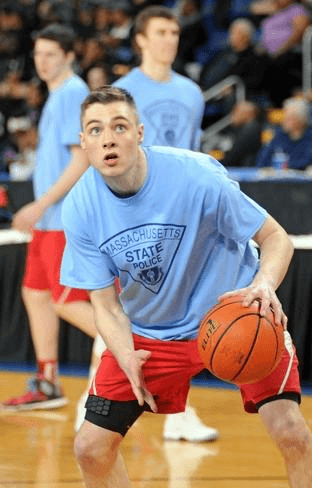 "I've been blessed with what I have, that's why I give back," Sulligan said. "I realize that when U take a a group of kids to Washington or New York, that may be the only trip they go on in their life, where I've gone on it 100 times. 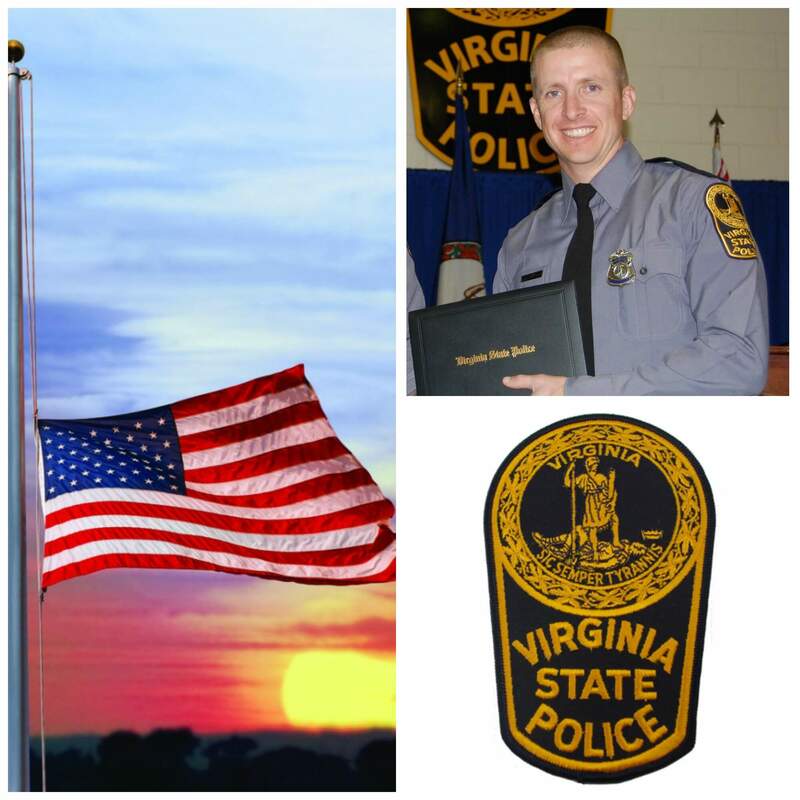 Our thoughts and prayers are with Trooper Dermyer’s Family and the mebers Virginia State Police. Trooper Chad Dermyer was shot and killed while speaking to a suspicious person inside the Greyhound bus terminal in Richmond, Virginia at approximately 2:45 pm. He and other officers were participating in an interdiction training course and were conducting stops of suspects. He spoke to the man briefly before the man suddenly produced a handgun and opened fire, striking Trooper Dermyer. Other officers who were on scene shot and killed the subject when the man opened fire on them following a short foot pursuit inside the bus terminal. Trooper Dermyer was transported to VCU Medical Center where he succumbed to his wounds. Trooper Dermyer was a U.S. Marine Corps veteran. He had served with the Virginia State Police for 17 months and had previously served with the Newport News Police Department. He is survived by his wife and two children. 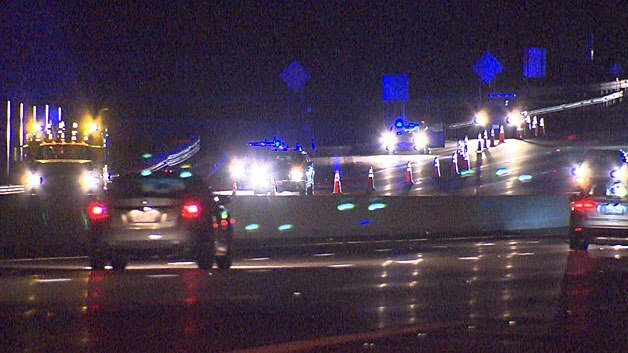 State Police say a trooper saved a driver who had no pulse after a crash on Interstate 95 in Westwood late Monday night. Investigators say a 2015 Honda CRV was hit from behind by a 2002 Honda Odyssey minivan in the northbound lanes around 9:30 p.m. Both vehicles slammed into the guardrail and ended up on the right side of the highway. The driver of the minivan, a 33-year-old man from Westwood, reportedly had no pulse after the crash, according to State Police. 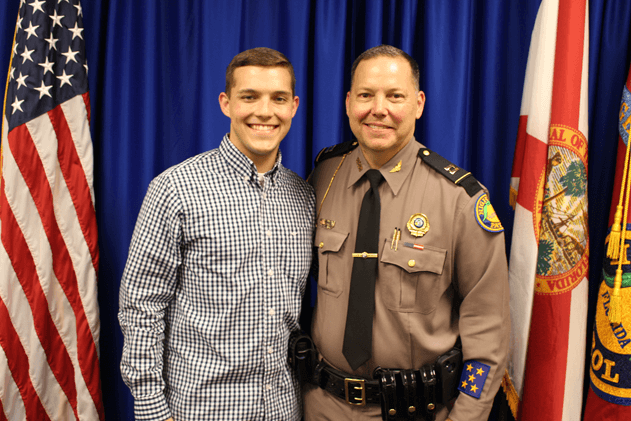 “Sergeant Pardo Montago immediately began CPR and continued until Westwood EMS arrived. 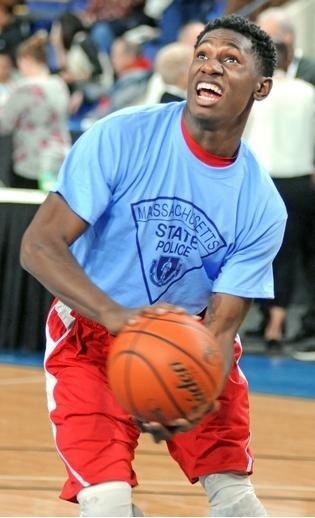 The man was then transported to Norwood Hospital for treatment of serious injuries,” police said in a statement. A passenger in the minivan, a 53-year-old man from Waltham, and the CRV driver, a 55-year-old woman from Needham, were both treated at Beth Israel Deaconess Hospital in Needham for minor injuries. No names have been made public. No charges have been filed at this point in the investigation. CORRECTION:In an earlier version of this story, State Police had told WBZ-TV one person had died in the crash. Two weeks after Trooper Sean Cullen was laid to rest, NJ State Police say they continue to receive letters of support and condolences from all over the United States and Canada. 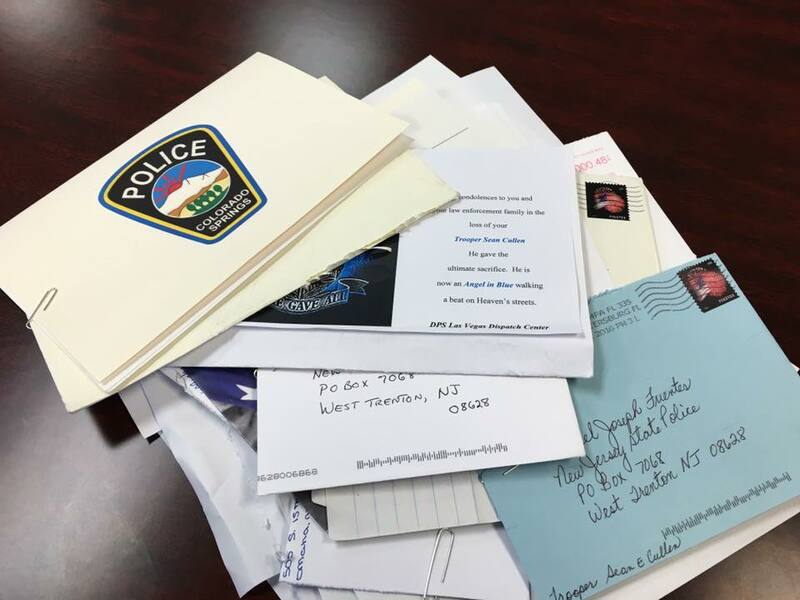 “Although it’s been close to three weeks since the tragic line of duty death of Trooper Sean Cullen, letters of support from across the nation and Canada continue to pour in,” NJ State Police said in a Facebook post Monday. Cullen, 31, was killed in the line of duty as he stood along Route 295 while responding to an accident and car fire on March 7. The Cinnaminson resident who was born in Dublin, Ireland, was engaged to be married and had a 9-month-old son. Cullen was a member of the 154th State Police Class and was stationed at Bellmawr Station. He had been a trooper for about two years. Prior to joining the State Police Cullen was a member of the Mount Holly and Westampton police departments A GoFundMe page was created following the trooper’s death to offer financial assistance to Cullen’s fiancee and young son, and has already raised more than $170,000. 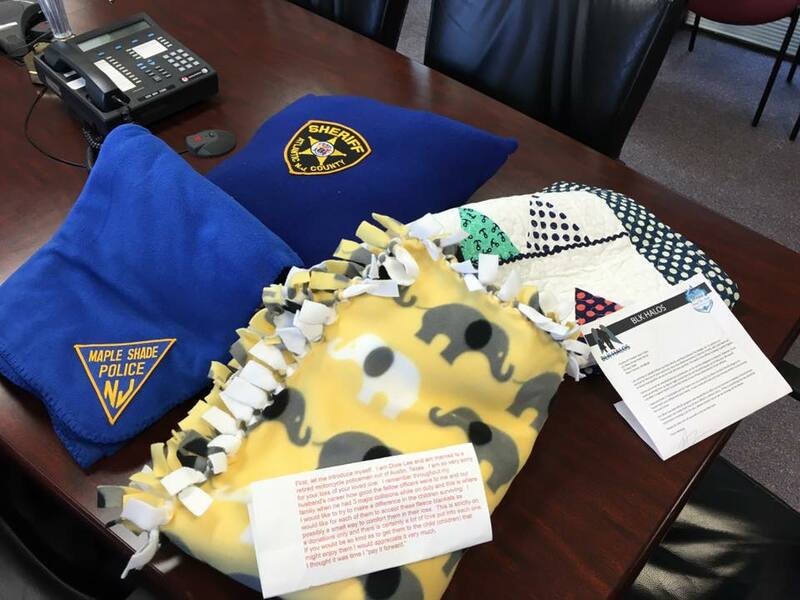 State police said since Cullen’s death, they’ve received an outpouring of support in the form of letters as well as blankets, Bibles and sympathy cards directed at law enforcement as well as the Cullen family. “We would like to publicly thank everyone for such considerate and thoughtful gestures. It has not gone unnoticed,” NJ State Police said in a Facebook post. In a statement, NJ State Police said Col. Rick Fuentes has been sending “personally signed thank you notes” to those who have reached out to the NJSP and the Cullen family with messages of support and condolences. Our thoughts and prayers are with Trooper Nichols’ Family and the Texas Department of Public Safety – Texas Highway Patrol. Trooper Jeffrey Nichols was killed in a single vehicle crash while on patrol in Lamar County, Texas, at approximately 11:00 pm. His patrol car left the roadway and struck a tree on FM 38, approximately one half mile north of County Road 35450, in Tigertown. 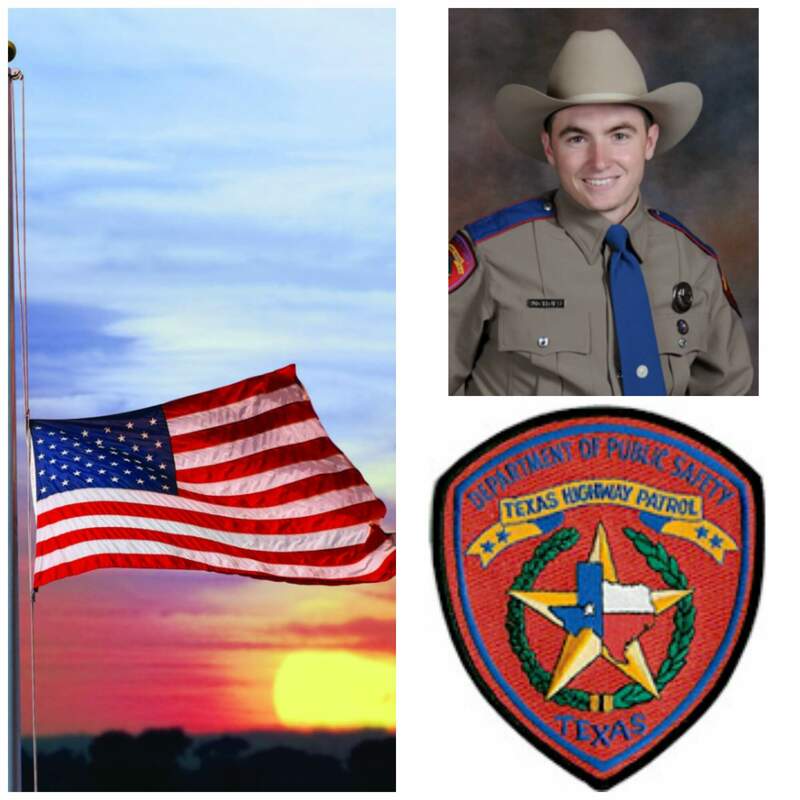 Trooper Nichols had served with the Texas Highway Patrol for five years. He is survived by his parents. A word of thanks. 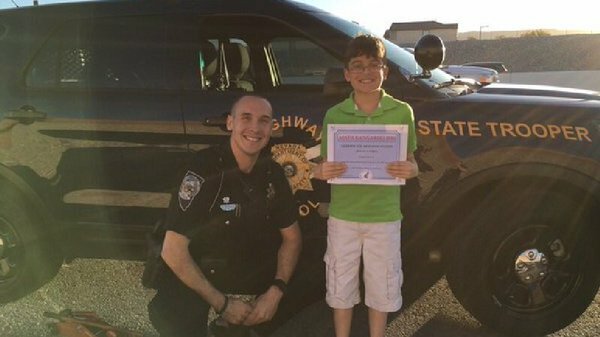 A local mother says a Nevada Highway Patrol trooper went above and beyond to help get her 10-year-old son to an important school event, but the trooper says, he was just doing his job. It all began with a tire blowout on the freeway. Dylan Chiti said he'd been waiting for months to test his skills. He was a participant in this year's Math Kangaroo competition, an international event where the best and brightest compete for prizes and scholarship money. "To me it felt very important," said Dylan. His chances were nearly blown, along with the tire, while his mother drove along 215 near Sahara on Thursday, March 17. "I looked over at him and I started to cry. The competition oh my gosh he's going to miss it," said Dylan's mother, Sandra Chiti. Chiti says that's when she called Geico Roadside Assistancebut learned a service tech wouldn't be there for at least an hour. Meantime, NHP was dispatched. That's when Trooper Adam Whitmarsh came to the rescue. "Anything positive I could do for her. It was her worst day and being able to help, that made my day," said Trooper Whitmarsh. "He said okay you have a math competition. I said: are you going to take us," said Chiti. Both mother and son jumped into the back of the patrol car and headed to the competition, walking in with just minutes to spare. "She said it's the only time I'm allowed in the back of a police car," said Dylan. "Do this all the time. I've been doing it for five years," said Trooper Whitmarsh. "Stories like that help restore faith in humanity," said Chiti. Their luck didn't end there. Mother and son later returned to their car to wait for the service tech when Trooper Whitmarsh drove by again. This time, he pulled the spare out from under the vehicle and got to work. "At that point, I YouTube'd how to fix it and i changed it for her, " he said. "He got on the ground and changed the tire so we could get home safe," said Chiti. A small kindness for a stranded mom and the boy who just wanted to compete. "I would say thank you. It was very kind and I thought I was going to miss the competition too," said Dylan. Alameda Hitchhiker says his life was changed by Fallen California Highway Patrol Officer.